Panasonic is getting ready to ship a smart TV based on Firefox OS this spring, and the company is previewing the device at CES in Las Vegas, with an emphasis on preview: At the Panasonic booth, I only got to see a TV set running a Flash demo of the TV’s user interface, and a spokesperson told me that the final version isn’t ready yet. Interesting about Panasonic’s approach is that the company isn’t emphasizing the geeky side of Firefox OS, and instead appealing to simplicity, with app pinning apparently being one main feature. Also noteworthy are integrated notifications, which will first come from apps, but eventually also connected appliances. And finally, there is a kind of universal search that includes web content, which can be accessed through the integrated Firefox browser. 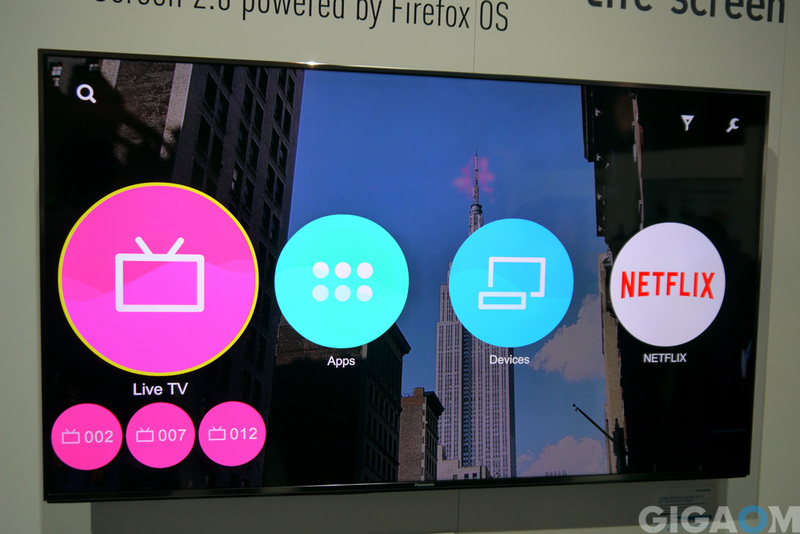 Panasonic’s Firefox OS TV features integrated app notification support. I was told that apps from all major content providers are going to run on the platform, and the demo showed apps from Netflix, Hulu, YouTube, Vudu and others as well as the Firefox browser. Also noteworthy is that there was a dedicated icon for Miracast; Mozilla has been cooperating with Matchstick on an open protocol for screen mirroring and casting, but Panasonic hasn’t announced plans to support the protocol yet. However, a spokesperson told me that there are definitely plans for multiscreen interaction with apps on mobile devices. 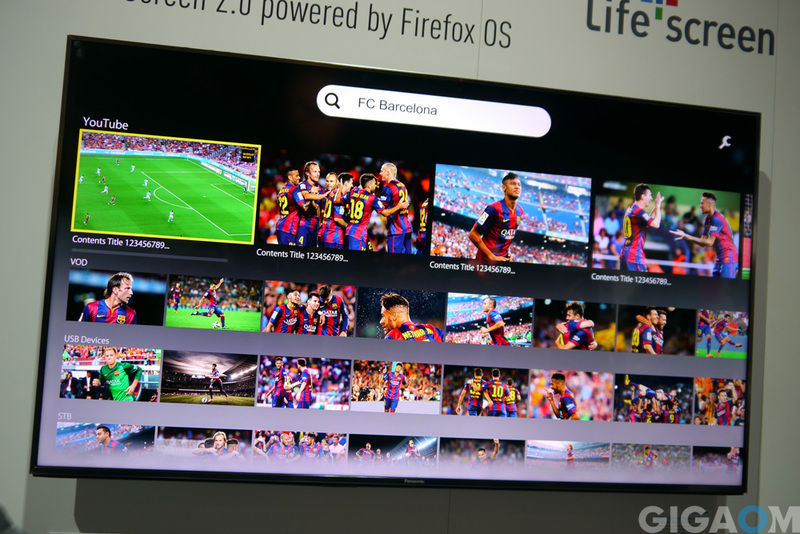 Mozilla and Panasonic first announced a Firefox OS-powered TV at last year’s CES, but that device never materialized. 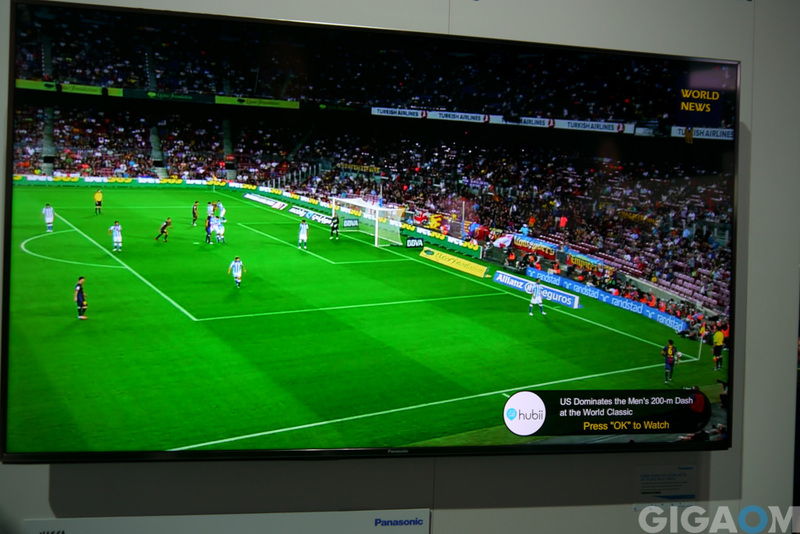 The new model is now supposed to ship in spring, and feature 4K with a 64 inch screen size. 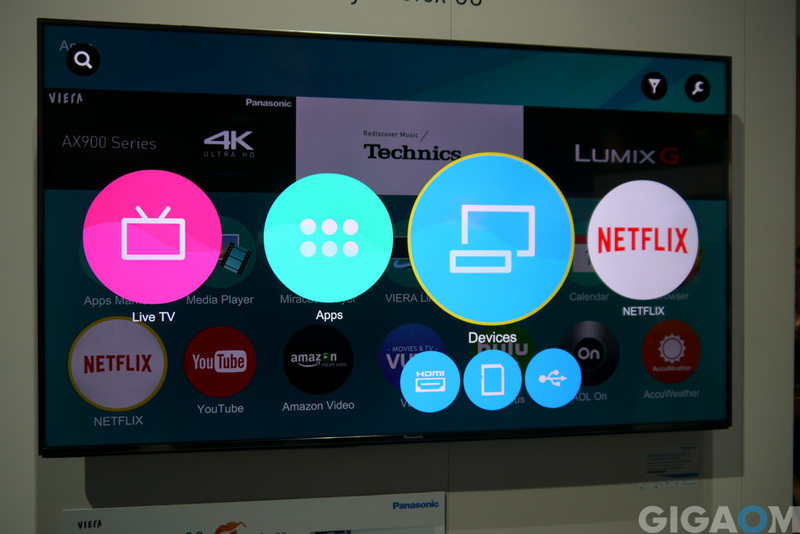 Panasonic hasn’t announced any plans for additional models or screen sizes yet, and a spokesperson tamed expectations by calling Firefox OS on TVs a “special project” for the company. You mention a dedicated icon for Miracast, but are you sure it wasn’t just the general casting icon that Chromecast has been using? Actually, it spelled out Miracast on the screen. You can see it in the last embedded photo, partially covered by the apps icon.